Make this Valentine's Day unforgettable at Bob's Steak and Chop House. Spoil your loved one with a three-course dinner, including complimentary long-stemmed rose for each table. 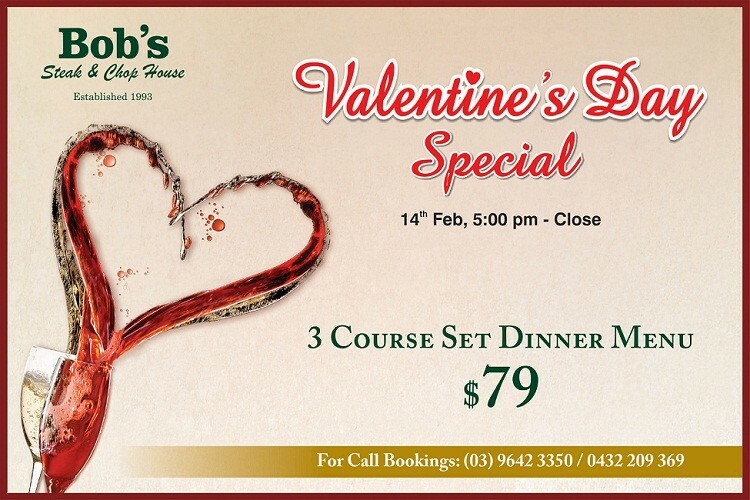 To make a reservation email: info@bobs-steakandchop.com.au or Phone: (03 )9642 3350.